In this paper, we address the problem of learning better word representations for neural machine translation (NMT). We propose a novel approach to NMT model training based on coarse-to-fine learning paradigm, which is able to infer better NMT model parameters for a wide range of less-frequent words in the vocabulary. To this end, our proposed method first groups source and target words into a set of hierarchical clusters, then a sequence of NMT models are learned based on it with growing cluster granularity. Each subsequent model inherits model parameters from its previous one and refines them with finer-grained word-cluster mapping. 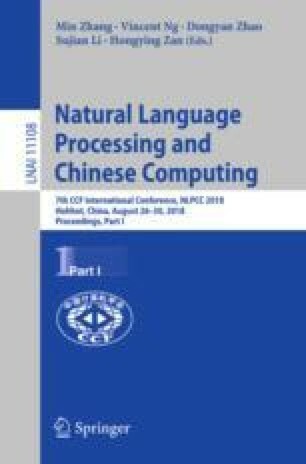 Experimental results on public data sets demonstrate that our proposed method significantly outperforms baseline attention-based NMT model on Chinese-English and English-French translation tasks.